Writer's block - that formidable opaque mountain of confusion and uncertainty that plants itself in front of you as you sit down to write a book, a screenplay, an article, a poem, or a blog. You've just begun and already you're stuck. You can't see around the obstruction and you can't see beyond it. You want to write something, anything, but you don't know where to begin. Or you begin, but you stop, because you don't know where you are going. You've heard about it. You swore you'd never experience it. And yet here it is and there you are, a recipient of writer's block. 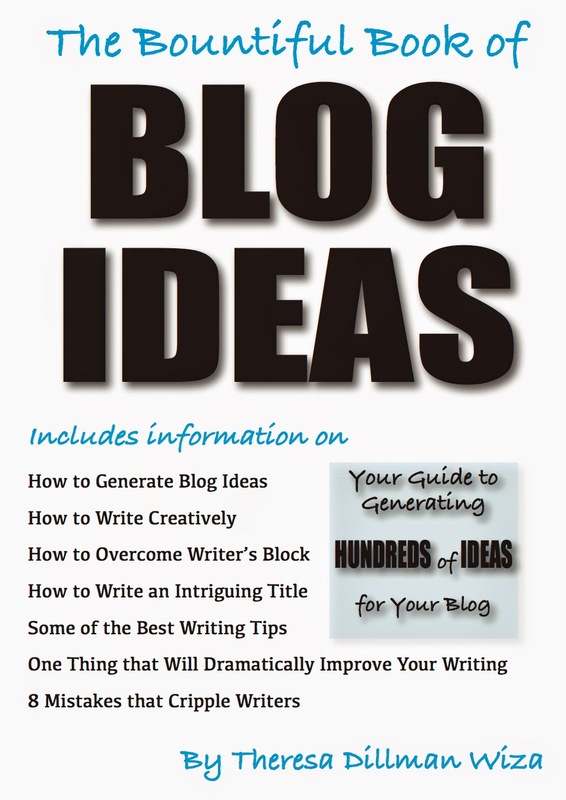 The first trick for overcoming writer's block is to come up with a sustainable topic. Not so easy, you say? If the idea of coming up with a subject causes so much frustration that the project seems insurmountable from the get-go, imagine ideas sprouting up everywhere, all day, all night. From the time you wake up in the morning to the time you retire at night, and even into the night, dreams and daydreams alike take shape. Digital headlines splash across computer screens. Radios play songs that inspire. Television programs stir emotions. Newspapers and the Internet reveal story after story. Compelling conversations engage you. Every bit of information, from the rustling of leaves to the chatter of children, filters through your senses and makes an impression upon your brain. From the thousands of stimuli you are exposed to every day, try pausing for just one moment and freeze the frame. Pay attention to your environment, to the sights, the sounds, the tastes, the textures, and the smells. Pay attention to what matters to you. One moment can grow an entire book. You can, as the saying goes, "write what you know" - or you can write what you don't know but want to learn - researching can be fun and challenging. If you don't know what interests you, but you feel a compulsion to write, visit a bookstore or a library for ideas. Scan the bookshelves. They are lined with titles and subjects so diverse, something is bound to appeal to you (pun intended). Discover what arouses your curiosity. Are you a sports lover? Narrow your topic further. What is your favorite sporting event? Are you a player or a spectator? What is your favorite position? Why is the game important to you? Does it conjure happy memories? Can you connect the personal aspect of the story to a global perspective? Maybe a psychological thriller is hiding in the shadows of your childhood. Was your home reflective of television programs in the 1950's, when perfect parents raised perfect children, or was it perhaps a little more sinister? Or inspiring? Quirky relatives and friends may offer humorous and adventurous ideas for an article or story. Do you have an interest in third world and other worldly subjects? Try writing about poverty or space aliens. Or link your interests together to write about poverty-stricken space aliens. How about hobbies - those that engage you and those that interest you but that you haven't yet tried? Visit a hobby shop for ideas. Has something so significant happened to you that it stopped you dead in your tracks? Write about how it impacted you. Issues you care about, like child neglect or the nuclear arms race, historical perspectives, medical discoveries, taxes, social security, celebrities and so many more concerns are just waiting for you to explore and share with your readers. Choose one or choose several. Use your imagination and begin jotting down ideas. Once you decide what to write, you next need to decide how to write. We all have different methods of writing. Some writers set aside time in the morning, some write at night, some all day, and others write when they feel inspired. Some feel more at ease at the local bookstore while others sit in pontoons on lakes scratching sharpened pencils on spiral notebooks. Still others like the comfort of their own homes sitting in front of their own computers. My writing begins when ideas explode out of my brain at lightening speed. I am the dartboard. Ideas are the darts. One idea after another flings itself from my fingers to the page. They splatter like paint from several brushes at once. The words mushroom like a cloud, forming a mass of potential - that sadly misses its target. And then the darts stop and the paint dries. I am drained. What I see before me looks like a brainstorm gone awry. I expected the words to flow from one sentence to another, from one paragraph to another in flawless perfection. What I expected does not match what I see. I step back. But only for a moment, because I refuse to give in to writer's block. Also, what I have before me is a mess that needs to be cleaned up and rearranged. So I rewrite, regroup, and begin again. Or I find a fresh slant on what I've already written. More words jump out of me. But like an empty drain, when everything has been poured out, the pump needs time to replenish. I keep a number of article and story ideas recorded in notebooks and on my computer. I refer to them often. I've noticed that if I become blocked, the reason may be that my story is not headed in the right direction. Or perhaps I've gone off on a tangent and I need to bring my story back on track. Other times, I realize the reason I'm stuck is that I need to research the subject more and my subconscious knows it. Pay attention to what was happening just before you got blocked. Did you run out of ideas, or did the ideas stop making sense? Too much extraneous material can sidetrack your story. Tighten up your verbiage, pitch unnecessary words, phrases, or even paragraphs and pages, and move forward. When all else fails, take a breath. While my spirit breathes, after a short break, I begin another project or continue working on one I previously let rest. It gives me space, time, and perspective on the current article. It also prevents me from using writer's block as an excuse for not writing. Writer's block serves a purpose, too. Nobody was meant to write all day every day. We have people to see, places to go, errands to run, and life to live. When that mountainous wall halts your writing, do something else - exercise, eat, and have fun. Come back to the computer refreshed. If writing is your goal, write - every day if possible. Carry a notebook around with you. Get in the habit of writing in it - thoughts, opinions, phrases, anecdotes, and anything else that causes that controller to pause and take notice. Television sitcom moments that cause you to laugh, radio talk shows that intrigue you, anything you find funny, interesting, or amazing, memories, dreams, and overheard or shared conversations between family members, friends, co-workers all become fodder for your muse and get recorded in your notebook. Like many writers, I spend only about an hour or two a day on my work. Sometimes I don't have even that much time. My days are filled with incessant, unrelenting, but often welcomed interruptions. Having another job while trying to write is tough, but it can be done. Keep a notebook within reach. Once you have a large collection of ideas, peruse them. They are now puzzles for play. Note the mysterious patterns that surface as you gather your materials together. Where once you had only writer's block, you now have all the ingredients for a successful novel, poem, screenplay, or article. Finding missing pieces is fun and building your own puzzle is creative. If you've been stricken with writer's block, you can rely on your notebook to unblock you every step of the way. But what you write has to stand out from other writers; grabbing readers' attention is imperative. Being creative requires you to look at your subject from various angles. If you feel your creativity needs a refresher course, check out a previous article I wrote, The Creative (Writing) Spirit where I offer exercises to boost your creativity. When writer's block prevents you from moving forward and your writing appears to be a mishmash of unrelated ideas, go back to the question - what is my story about? What information do I want to convey? What is my reason for writing this particular piece? In one sentence, write the answer to one or all of those questions. Use a thesaurus to find relationships between corresponding words. The jolt may trigger an "Aha!" moment that allows you to move past the block. Whatever your subject, think of your piece as a circle that connects the beginning and middle with the end. You'll bring your reader - well - full circle. You don't always have to write the story in that manner, but if you get sidetracked, this method will make your article more cohesive. Sometimes you just need to walk away from the computer or notebook. A refreshing walk will clear your head. Meditation helps too. I sometimes use music to set a mood. If I'm trying to focus on a particular theme, say something metaphysical or paranormal, I might put on Pink Floyd. Something fun might call for Cyndi Lauper. I change the music to match the mood of my writing. When all else fails, I call a friend. Or I brainstorm. With pen in hand, I write down everything related, and even unrelated, to the topic I'm writing - whatever pops into my head. If I think about ideas before I fall asleep, solutions to problems oftentimes appear upon awakening. And many times I awake in the middle of the night with a clear vision of what I am supposed to write. I've learned to record it immediately, because no matter how often I tell myself I will remember the insight in the morning, I either don't or I don't remember it correctly. At times, you will have to set aside your work and return to it another time. Eventually it will work itself out - if you don't force it. Forced writing appears to be just that and the reader will find the piece stilted and unreadable. Wait until the words flow together in a way that appeals to your aesthetic sense of language. But if it never satisfies you, if it never works itself out, leave it alone. Bury it. It was probably never meant to appear in print or on screen. It served a purpose, though - it educated you. And it probably isn't completely dead because pieces of it can be extracted for other works later on. 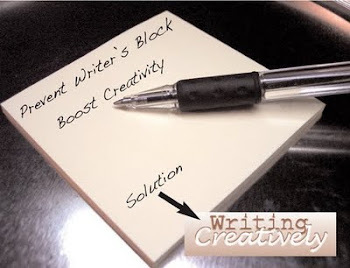 Help for unblocking writer's block periodically comes from the most unexpected places. While I was working on this article, for instance, I received this horoscope in my email from tarot.com: "You have a bit of letting go to do today, in preparation for the Moon's return to your sign tomorrow. Although your work may flow easily at times, you might also experience intermittent creative blocks. Don't get hung up about something that's not moving forward now; instead, look at what the signs are telling you. Once you learn your current lessons, you'll be allowed to proceed to the next step." Signs are everywhere. When you choose a subject, say pregnant women, for example, you will suddenly find them everywhere. You might not have noticed one single pregnant woman until you started writing about her, but the second you focus your attention on your article, you will find her wherever you look. And if you can't find the signs, post one yourself. Ask your friends for help. If you are researching unforgettable movies, for instance, begin by posting in an email or on social media sites, "I'm researching an article on movies - what are the most memorable movies you have seen?"